TAYBA is an initiative by women, for women to produce the leaders of our tomorrow. 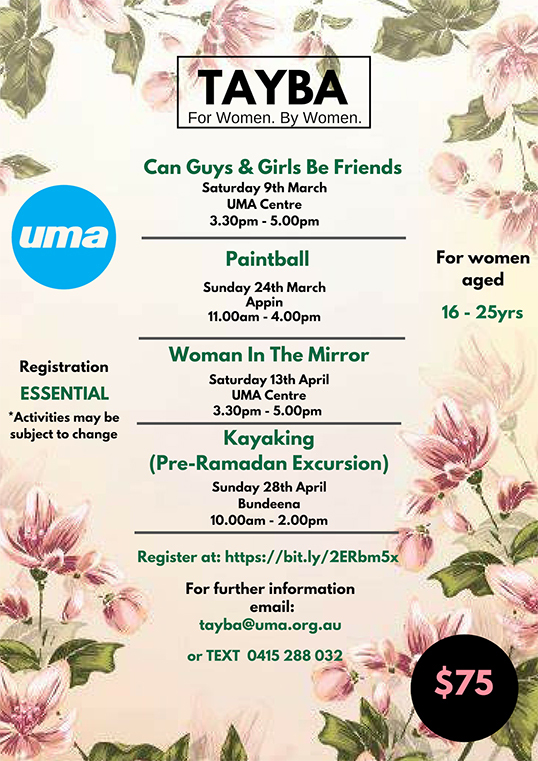 We focus on team building, leadership qualities and Islamic values through interactive workshops and exciting excursions to provide an enriching program for women aged 16-25 years old. Women are a cornerstone of our society and have long played an integral part in our Islamic history.